Saturday, May 5th, 2018. San Diego Memoir Writers Association monthly meeting, guest speaker Linda Strader with book signing to follow. 2:30-4:30 pm. Wednesday, May 9th, 2018. Reading and Book Signing. 10-12pm at Lowe House Project 14 Calle Iglesia, Old Town Tubac, Arizona. Saturday, May 12th, 2018. Bisbee Books and Music. Book Signing. Noon-2 pm at 2 Main Street, Bisbee, Arizona. Saturday, May 19th, 2108 Reading and Book Signing. Peregrine Book Company. 219A North Cortez, Prescott, Arizona. Sunday, May 27th, Book Signing. Barnes and Noble. 2:00-4:00 pm. 5130 E. Broadway, Tucson, Arizona. Women of Quail Creek meeting, April 29th. 2013 at 6:30 p.m. at the Quail Creek Clubhouse in Green Valley, Arizona. Presentation on my firefighting experiences. American Association of University Women meeting, September 17th, 2013 at 10:00 at the Desert Hills Social Center. Presentation on my firefighting experiences. Society of Southwestern Authors, Santa Cruz Valley Chapter Author's Showcase, February 8th, 2014. Reading an excerpt from my book. Western National Parks Association, Noon to 1:00 p.m., May 14th, 2014. 12880 N. Vistoso Village Dr., Oro Valley, AZ. Singing Wind Bookshop Author Fair, Sunday, November 18th, 2018, 1:00-4:00 p.m. Benson, Arizona. Reading and Signing event. Society of Southwest Authors Author Showcase. Saturday, January 19th 2019 at The Grill on the Green, 11:30-2:30, Green Valley, Arizona. Reading and signing event. My interview by author Natasha Orme. Guest blog post on Wildfire Today. Guest blog post "You Too Can Write Your Memoir" on Women Writers, Women's Books. Guest blog post "How I Ended up Writing a Book and Landing a Book Deal" on Quills and Coffee. 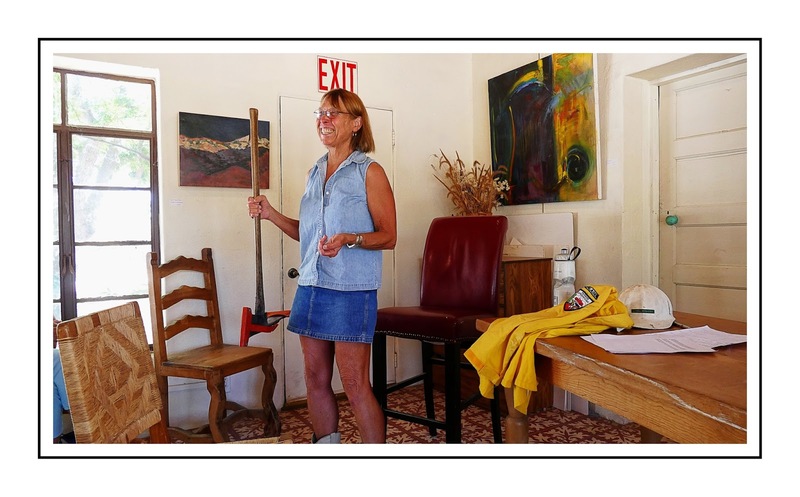 My guest blog post: "Arizona Firefighter Finds Voice and Story in Memoir" Women's Writing Circle. My guest blog post "When Can You Call Yourself a Writer?" on Kathy Pooler's blog. Podcast with Charlene Jones' Soul Sciences. My guest blog post "Dear Diary: Can you write a memoir from your diary?" on Louise Allan's Blog. My guest blog post "Writing a Relatable Memoir" on The Editing Pen. My interview on Heidi Love's Gutsy Goddesses Blog. My interview by author Isabella May. Guest blog post on Daisy Hickman's blog: Lessons in Bravery. Guest blog post on Lucinda E. Clark's blog: Strong women. My guest blog post on Women of 2018. "What is it like being one of the first women on a Wildland Fire Crew?" My guest blog post for Dr. Lynn Schmidt "What a Woman Firefighter Learned About Resilience"
My guest blog post for Women On Writing "Easy Book Marketing for Authors Who Hate Marketing"
My guest blog post on Writer Granny's World "Writing Memoir: The Truth and Nothing But The Truth"